Peace lilies are excellent houseplants. 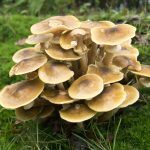 They’re easy to care for, they do well in low light, and they’ve been proven by NASA to help purify the air around them. But what do you do when the flowers or even the leaves start to dry up and die? 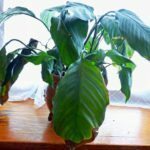 Should peace lilies be pruned? Keep reading to learn more about when and how to prune peace lily plants. Peace lilies are known for their big white bracts, the part we think of as a flower that is actually a modified white leaf surrounding a cluster of tiny flowers on a stalk. After this “flower” has bloomed for a while, it will naturally start to turn green and droop. This is normal, and it just means the flower is spent. You can clean up the appearance of the plant by deadheading. Peace lilies produce their flowers on stalks that grow up from the base of the plant. Once a stalk has made one flower, it won’t make any more – after the flower fades, the stalk will eventually brown and die as well. Peace lily pruning should be done at the base of the plant. Cut the stalk off as close to the bottom as you can. This will make room for new stalks to emerge. Pruning a peace lily isn’t limited to the flower stalks. Sometimes leaves yellow and start to shrivel up. This may be due to under watering or too much light, but it can also happen just because of old age. If any of your leaves are turning color or drying out, just cut the offending leaves away at their base. Always disinfect your shears between each cut to prevent the spread of disease. That’s all there is to pruning peace lilies. Nothing too complicated and a very good way to keep your plants looking healthy and happy.